A big congratulations to the cast and crew of "Coming Home" for all their recent success in the film festival circuit! 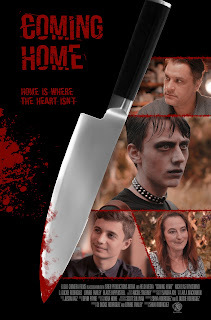 "Coming Home" was recently selected as a semi-finalist in the Women In Horror Film Festival. We're crossing our fingers to make the finals! And speaking of women in film, Director Shiva Rodriguez recently took the award for directing in the June edition of the AAB International Film Festival. Other recent awards include winning the Silver Award in the Spotlight Horror Film Awards, being a semi-finalist in the Los Angeles CineFest, and being an official selection of the Roma Cinema Doc. "Coming Home" also screened in Kent, U.K. at the Hellfire Short Film Festival. The film has also been getting some great reviews!